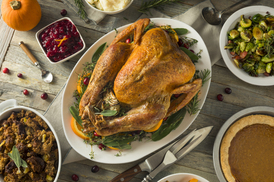 November e-News: WWI musical memorabilia, Thanksgiving potluck and more! November 11, 2018 marks the 100th anniversary of the ceasefire that ended World War I. Join Levy Center member Jan Perney on Thursday, November 8, from 12:15 p.m. to 2:15 p.m., as he displays his World War I sheet music memorabilia and plays century-old music. This event is free and open to all. Please register by calling 847-448-8250. Calling all cooks! The Levy Center is hosting an ethnic potluck dinner! Enjoy great music, friendly folks, a cash bar and tons of food from our Levy Center members on Friday, November 9, from 6:30 p.m. to 8 p.m. Bring your favorite ethnic dish and don't forget your appetite. Please submit your recipe to Levy Center Program Coordinator Tim Carter (timcarter@cityofevanston.org) by Thursday, November 1. Tim will compile all recipes and pass them out during the potluck. The fee is $5 for Levy members and $10 for nonmembers. Please register online or by calling 847-448-8293. How many times have you told your cat or dog “no” and yet the unwanted behavior continues? 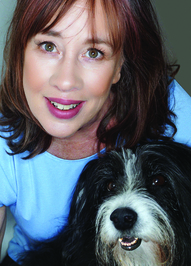 Carolee Biddle has communicated with many animals to learn how humans can modify their behavior and create more harmony in the home. Biddle describes how she uses her innate intuition to energetically connect to the animal, then “talk” with them using telepathy—the universal language of pictures, words, feelings and knowings. You'll learn ways to successfully communicate your expectations to your animals. The free lecture will be held on Tuesday, November 13 at 1 p.m. Please register in advance. The Levy Lecture Series is sponsored by the Levy Senior Center Foundation. Enjoy a free concert on Friday, November 16 at 1:30 p.m.! Harpist Katherine Ventura and coloratura soprano Angela Zúñiga will perform. Ventura has performed internationally as an orchestral and chamber musician and as a soloist. Zúñiga is the 2017 recipient of the Lynne Harvey Foundation Scholarship and has just received a Masters in Vocal Performance from DePaul. She will be joined by Saori Chiba on piano, renowned for her ‘superb keyboard artistry.’ The Fran Randall Music Series is sponsored by the Levy Senior Center Foundation. On Saturday, December 1, from 11 a.m. to noon, explore the origin of various West African rhythms through a historical and cultural aspect. 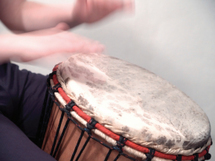 Participants will learn how to play African drums, create their own rhythms, and collaborate with others to play polyrhythm, an essential part of West African drum performance. African hand and/or stick drumming is good for those who have arthritis. All abilities are welcome. This is a free workshop and demonstration class for the upcoming winter session beginning in January. Please call 847-448-8250 to register. Enjoy an evening of classical-blues, folk and jazz-tinged melodies! 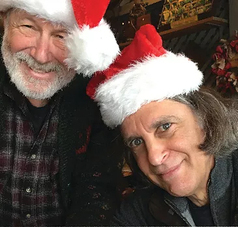 Corky Siegel and Howard Levy are virtuosic masters of musical mirth with lightning quick intuitive reflexes that can only come from many years of friendship. They’ve toured together nationally, performing at renowned jazz venues and music festivals as a dynamic duo. You won’t want to miss these amazing performers with a slew of awards between them, including a Grammy and Chicago Blues Hall of Fame distinction. This free concert will be held on Friday, December 7 from 5 p.m. to 7 p.m. 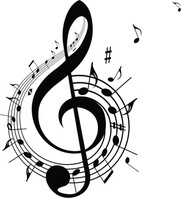 The Jamming Jean Music Series is sponsored by the Levy Senior Center Foundation.